Bespoke luxury shoemaking is a domain of a very few; it is and always has been a fairy-tale that only a handful of artisans around the world have ever been capable of making come true. Caroline Groves, a London-based bespoke shoemaker with more than 25 years of experience, unmatched craft skills and a unique eye for beauty, is undeniably one of them. Here she shares her thoughts on the life as an artist and shoemaker and talks about Russian influences in her work. Bespoke shoemaking is now a rare professional path. How did you start making shoes? I was fascinated by leather as a child, and I grew up in a family of craftspeople. My great-grandfather was a cabinet-maker and the right-hand man of C. R. Ashbee1; my grandmother was a silversmith and a very good needle woman. I spent weekends and holidays with her making things, but at some point leather became my passion. At first I just made bags and belts, but an opportunity came to work with a shoemaker and I realized that shoes for me are the greatest expression of what leather can do. The construction of the shoe is about leather and the construction technique; that became the fascination for me. I worked with that shoemaker for 15 years. 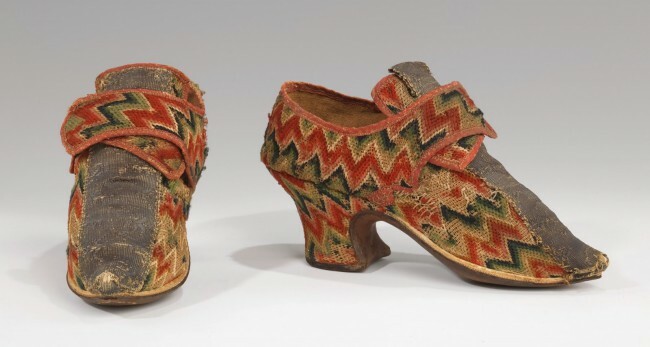 As he was involved in orthopedic shoemaking, that was a good place to learn, because you learn that there is not one way to make a pair of shoes – you have to be versatile. Eventually I wanted to move into something more artistic; I wanted to do something that gave me a chance to use more beautiful materials. Ten years ago I started my own business, and initially, the type of client that came to me were very often people who did have orthopedic problems, because they are the people that must have their shoes made. It took me a long time to acquire clients who simply wanted to wear beautiful things. In the last couple of years it has been particularly Russian women who seemed to love what I do. What is the general process that you and your client go through to achieve the end result? On a first occasion, I would meet the client. 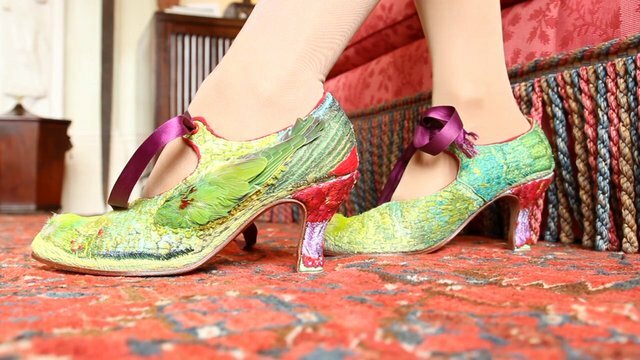 When she comes in, we will talk about style, discuss heel height, and I will measure her feet, because the first thing to have made is a last that a shoe is made on. It has to be a different last for a different heel height, so it is very important for me to know the heel height and the toe shape. By the next appointment I would have made a “mock-up” shoe – a simple shell to represent the shape of the last that we made for her. The client would put it on and walk around; then we can mark any alterations to make. I will then have materials to show to her, and if she asks me for a particular colour or skin, I may need to source it from Italy or South America. At this second meeting we would finalize all the various details – decorations, trims, shape of the heel – then I will go on to make the shoes. On the third occasion, the client would look at the finished shoes. With the first pair, it is an investment in time for a client, but it is always easier after that. If it is difficult for them to see me in London, I would always be prepared to go to them. Does the increasingly fast-paced culture of consumption, even on the luxury goods market, affect your creative process and communication with clients? The nature of the bespoke service is that you are speaking to your client, bending to their will, but at the very best our client would come in, already attracted to something about my style of work. It is then a very comfortable relationship because they trust me to develop ideas for them. It is difficult when the woman comes in who has very clear ideas that I am not attracted to, and sometimes I do have to say that I do not really feel if I can achieve the result that she wants. With high-end luxury shoes, women can have instant gratification by buying beautiful shoes in a department store, and my clients, I am sure, do that, but they also appreciate that my service is much slower and enjoy the anticipation of it. I think it gives them a different satisfaction seeing the result in the end. Where do you draw your inspiration from and how do you reconnect your clients’ ideas with your own creative impulses? My own inspiration comes from studying historical pieces, looking in the museums such as the V&A and Northampton Museum. In Moscow there is the largest private shoe collection in the world, shoe-icons.com, owned by Nazim Mustafaev, which I have visited. Forward-thinking designers must often be looking at new technology and materials, but as I am essentially a leather worker, it will always be about leather for me. I am very happy to work with shoes with a historical influence, because I like them to become contemporary looking, but my work is not about being a gimmick, it is about beautiful materials, construction techniques, craft. 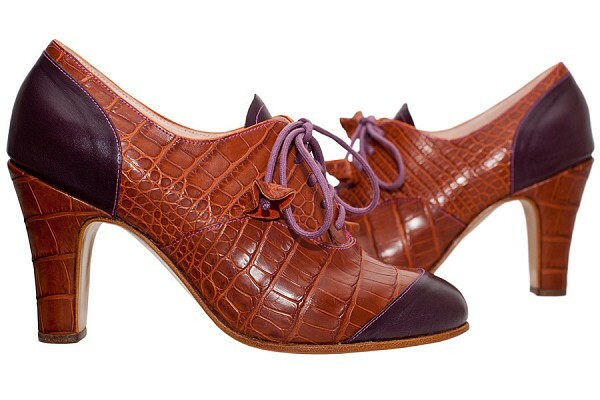 Quite often my shoes do have a vintage or historical look to them, but it seems to appeal to my clients. Perhaps, they think them whimsical or are buying into a fairy-tale idea. Is there any particular type of leather that you enjoy working with? I love baby calf suede from Italy for its sumptuousness, movement and light-absorbing quality. The leather that I particularly love to use is called “alum” – it is a very ancient method using alum mineral. It is very rare, made very occasionally; the leather has a lot of character. It is only in bespoke shoemaking that we can command the price to spend that much on this type of leather. I would want to experiment more with it as it loves to be dyed. My other passion is the English oak bark tanned leather, which we use for soling, also vegetable tanned leathers that develop with handling. 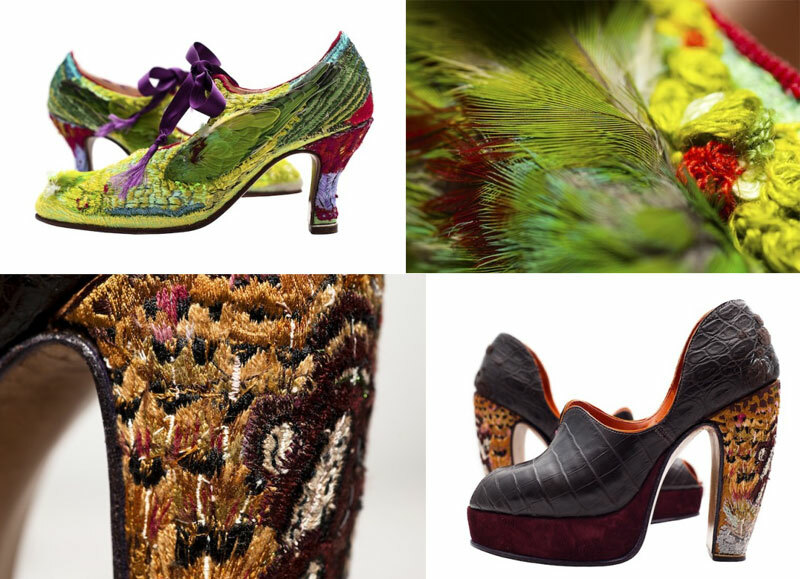 Occasionally, we use exotic skins, and I also like the combination of similar textures, like in Gypsy Rose shoes. This shoe has a black suede heel and leather soling, but the shoe itself is black velvet with embroidery. Do you manage all the production elements within your workshop? Almost everything is done here in a very much craft-based way. Everything is an individual piece that has been made for an individual client using only hand techniques. In my studio I have my leather, my sewing machine, I make patterns here, while in another room we do all the “making” – soling, heeling and lasting. I have two shoemakers who work with me; one of them specializes in hand-sewing soles on, and the other does all the basic work for me. I make all the uppers myself. I also outsource embroidery and have three women who work for me on occasions. It is great to do these collaborations. 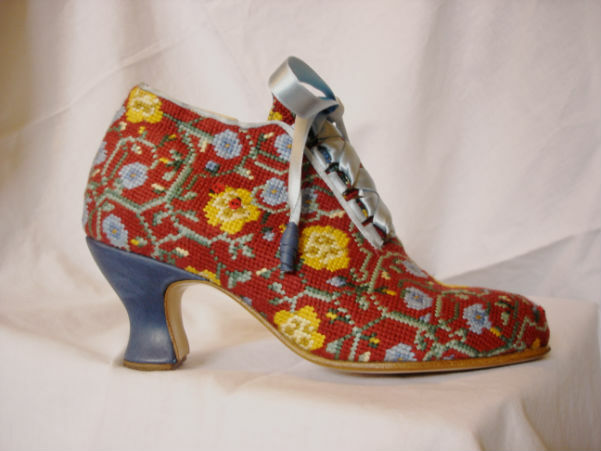 At the moment we are making a pair of shoes with a historical needlepoint tapestry upper that is going to be embroidered on the top of high, glamorous type of shoe. Do you feel concerned about the disappearance of many old, traditional craft-based workshops and factories, of which little exist today? Small factories in the UK just cannot compete on cost with Vietnam and China, and that is why I always felt that it is important for me as a crafts person to find out the clientèle who can truly appreciate and afford my work. I cannot undermine my work by trying to do it more cheaply, using plastic, man-made materials. Now in this country we have to do very individual things at a very high quality, and there is a world-wide market for that. It is tiny, but if we can find it, there are people that will appreciate our work. Is there an interest in the craft of shoemaking among younger generation today? Being in London, I am constantly asked by aspiring shoemakers looking for internships. My experience often is that students want to come in for a short time to have an insight, but most often they want to become designers and are not so much interested in the hands-on craft. There are a lot of people who would love to learn the craft, but the nature of it is that you have to show respect for it, it takes time to learn, and the problem is that there is a limited number of people who would pay the cost of an entirely handmade shoe. It is incredibly difficult to be able to learn the craft, start own business and find a clientèle that can afford it. Russian customers are increasingly interested in your work, but what attracts you in Russian culture that you cite as inspiration for you? I have always been drawn to Russian art and costumes – folk costume, wherever in the world, but usually in the Northern Hemisphere, is very interesting to me. In Europe we have always thought of Russian fairy-tales, Russian troika. Of course, when I first heard of Ulyana Sergeenko’s work, I thought it so inspirational; her collections went straight to the heart of the foreigner’s idea of Russian fantasy. 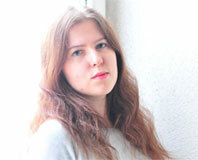 I was so drawn to that mystic, that slight otherness of the Russian world. As I see it, since the end of the Soviet era, there is a whole new way of touching into the Russian history and culture, a whole new re-awakening that is happening, and I am sure there is so much more to discover about crafts, costumes from different areas of the country. It is fascinating!